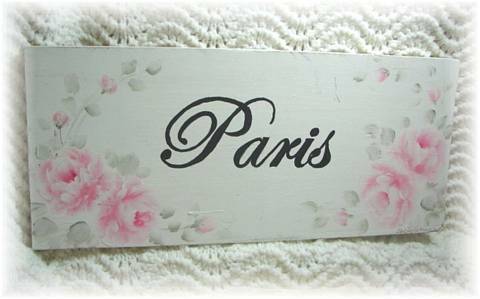 Chic Paris painting/sign. Beautiful roses,rose buds and greenery, then distressed it a bit, for an old cottage feel. Painted on a salvaged board, it is appx. 15" x 5 1/4"